Great deals to Cuba up to -70% off To take advantage of these offers, join now for free! Enjoy luxury holidays to Cuba with Voyage Prive ✅ Discover the city of Havana, exceptional rum, tantalizing salsa ✔ Book Online Today. 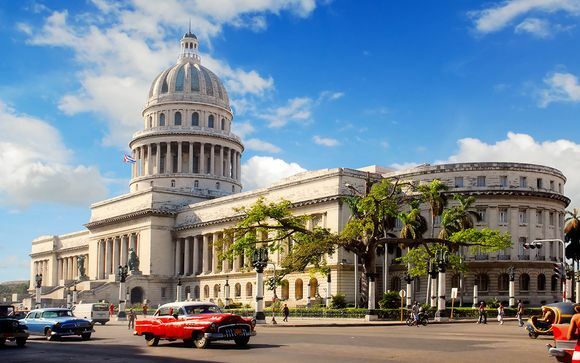 Cuba, as the largest island nation in the beautiful Caribbean, may be the most distinctive country on the map of the Americas. 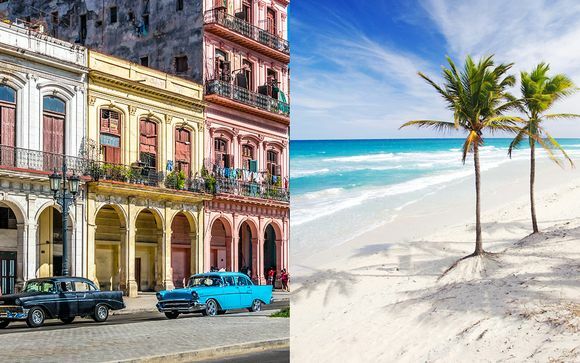 With our exclusive Cuba deals now you too can experience this tropical paradise, from stunning white-sand beaches to the unique and vibrant capital city of Havana. 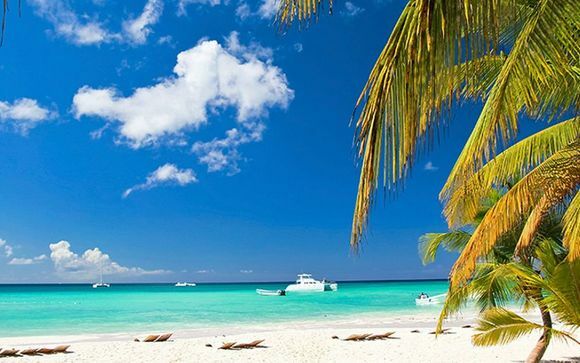 Because of the island’s enviable position just south of Miami, temperatures are balmy and sun-drenched all year round. Discover azure oceans, bustling resorts, palm trees waving in a warm breeze, and a culture and history that’s totally unique from anywhere else in the world. 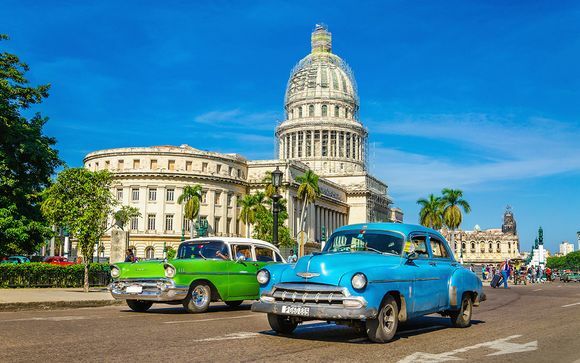 The capital city of Havana is an all-consuming whirlwind for first time visitors, with travelers reporting that they ‘lost days’ simply exploring the one-of-a-kind historical Habana Vieja alone. With our luxury holiday offers you can test that claim, and perhaps even pop in for a drink at the Bodeguita del Medio, the favourite watering hole of infamous writers and musicians including Ernest Hemingway and Nat King Cole. 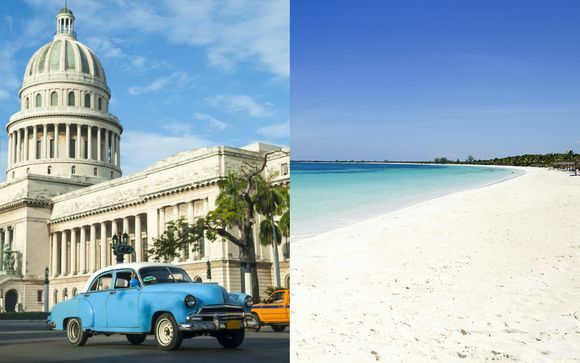 And if you’re going to embrace the distinctive Cuban culture properly, why not indulge in the island’s famed thumb-thick cigars while relaxing under the sun on one of the island’s many stunning beaches? Or if that’s too cliché for you, a visit to the Cathedral, which has long been known as ‘music set in stone’, is an experience that’s not to be missed. With our great deals to Cuba, you can experience all of this and more! 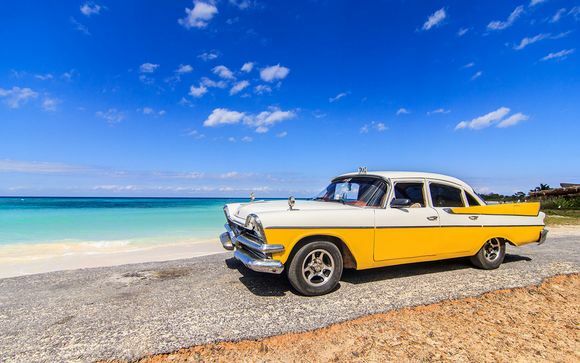 And of course, you shouldn’t forget that Cuba is the home to rum, salsa dancing, and candle-lit caves where you can dine in style on your once in a lifetime luxury holiday. Sip authentic Cuban rum cocktails as you watch world-class dance performances, and the night slowly dissolves into a vibrant and joyful party atmosphere you won’t find anywhere else. Underneath a Habana moon, locals and tourists alike can experience authentic Cuban cuisine. The island favourites include pulled pork and hearty stews, all generously spiced, and washed down with strong Cuban coffee or the iconic and refreshing mojito. Truly, there is something for everyone, and the island really is a hidden gem just waiting to be discovered. 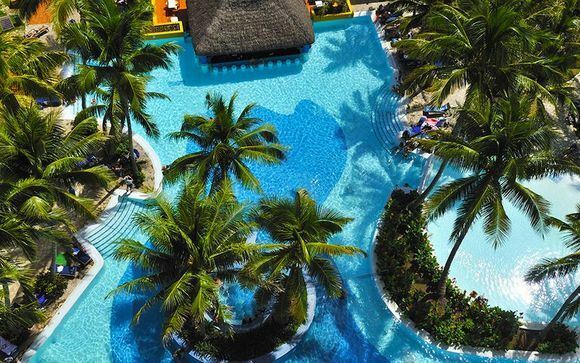 Sign up today to browse our Cuba holiday deals and offers on exclusive luxury hotels, and visit one of the world’s most distinctive and exciting countries. Discover more travel plans with our holiday pirates.